Lowdown: An examination of the unique nature of our species through the eye of historical fact. Sapiens: A Brief History of Humankind (or just Sapiens from now on) by Yuval Noah Harari was first published in 2011 in Hebrew, which happens to be my mother tongue. I first heard of the book in 2012 and since then made one attempt after another to acquire the ebook in its original language; with the recent publication of Harari's Homo Deus I decided that enough is enough, the ebook market is never going to satisfy my need for DRM-less editions, and took the plunge to read the English translation. I don't know just how much this book loses through translation - they always lose something - but I will say this: Sapiens is one of those books that opened my eyes and made me perceive the world around me in such a different light that I hereby charge you to drop everything and read it. Now. In whatever language you can digest. Harari is a historian and his book is a history book. The catch is, this history book dares to go where no other [I am aware of] ventures in its analysis of historical events and their implications on this world of ours. 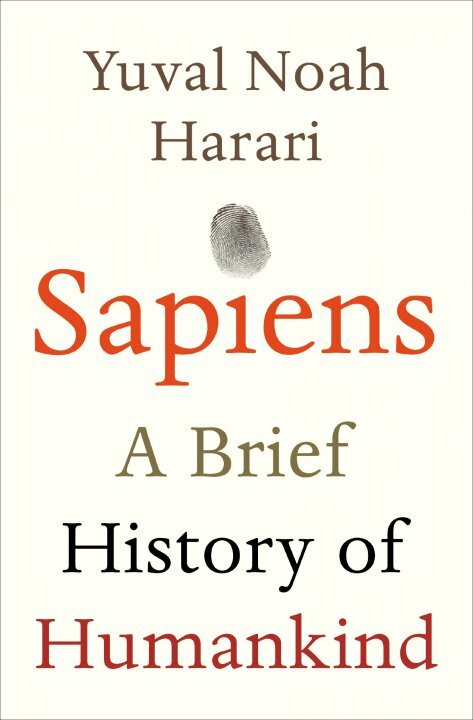 Essentially, Harari covers the history of our species, Homo Sapiens, from its evolution out of some preliminary Sapiens species and up to this modern day and age. What separates our particular breed of Sapiens from all others, Neanderthals and such, is - according to Harari - some mutation that seems to have hit our great great grandparents' cognitive minds some 50K years ago. This mutation allowed our ancestors to imagine things and then hold on to these ideas, collectively. In turn, this allowed us humans to do things like believing these bills in our wallets stand for something; or let the clocks on our wristwatches dictate what we do and when. For lack of time and ability to do Sapiens justice I will leave the book's ideas at that. What I will say is that Harari is not afraid to pick sides, as per when he argues the agricultural revolution that we are taught to regard as one of humanity's biggest achievements was actually a major cause of suffering that - for economic reasons - we are now firmly trapped with. Neither isn't Harari shy to point out the religious origins (that is to say, the fictional/mythical origins) of the themes dictating the culture of our liberal/humanist democracies we aspire to be living in today. Sapiens' impact on me was so big I find myself unable to read other books; the two I have tried since, highly recommended by Time, felt so inferior I deleted them in disgust. On the other hand, I'm holding myself from rushing straight away to Homo Deus. Regardless of my personal failings, I highly recommend you broaden your horizons with Sapiens. This is as 5 out of 5 crabs as any book can get.